Here’s your chance to test your knowledge on members of Tudor court. If you actively read all of the articles we post on our site this should be a breeze for you. Best of luck! 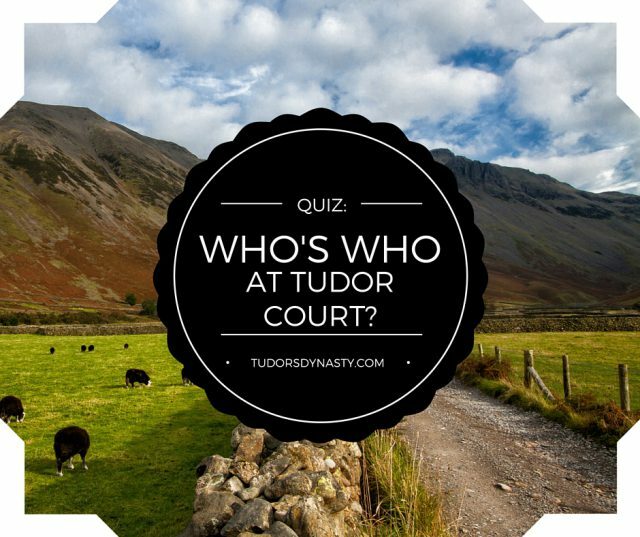 A quiz to test your knowledge of the characters at Tudor court. If you’re a frequent visitor of our site this should be no problem. Who was Edward Seymour’s second wife? Which of these ladies was Governess to Margaret and Mary Tudor? We recently told a story about Elizabeth and Mary Boleyn in Ireland – which castle did they live in? This woman was great friends with Katherine of Aragon and the mother of Katherine Willoughby? This Anne was burned at the stake? Which of the following ladies upset Queen Elizabeth by marrying Robert Dudley? Which of the following men purchased Althorp House in 1508? Oh this was tricky! I enjoyed it very much thank you! Well I know I do not know nearly that much , but am so fast enacted by them, it was fun, look forward to more!